The 2014 VW GTI probably looks pretty familiar to anyone shopping the VW line of cars and hatchbacks, because it's really just a turbocharged high-performance clone of the popular VW Golf. Shoppers get all of the European styling they love, right along with all of the sport-tuned speed they crave. Come and get it while you can, though, because the VW GTI only gets a limited production release in the U.S. as a four-door hatchback model this year. 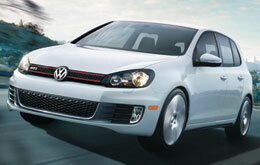 The 2014 VW GTI is available in Orlando in Base, Wolfsburg, Driver's Edition and Autobahn trim levels. In line with its race-ready attitude, the GTI comes standard with a 2.0-liter turbocharged and intercooled TSI four-cylinder engine that's good for 200 horsepower and 207 lb.-ft. of torque. This engine is particularly responsive thanks to low-end torque that really gives drivers excellent short bursts of passing speed. With an optional DSG transmission, VW GTI buyers in Orlando can experience the thrill of manual driving and the ease of automatic shifting with this dual-clutch setup. Rounding out GTI is a fully independent European-tuned sport suspension and electro-mechanical power steering for more precise, nuanced driving. VW GTI reviews note that the GTI isn't all speed and power; there's a touch of comfort on the inside, too. Buyers can expect the following standard and optional features: soft touch materials throughout the cabin, aluminum accents, heated exterior mirrors, heated front seats, navigation, a premium sound system with touchscreen interface, and more. 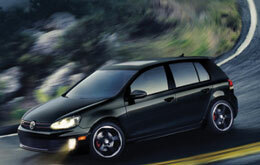 For a complete list of amenities, please continue reading the VW GTI review below or contact David Maus VW South. In a multitude areas, the 2014 Ford Mustang, Scion FR-S and the Chevrolet Camaro are outranked by the 2014 Volkswagen GTI. The GTI's modern incar technologies and competitive pricing are just a few of the outstanding characteristics that shoppers will be pleased with. 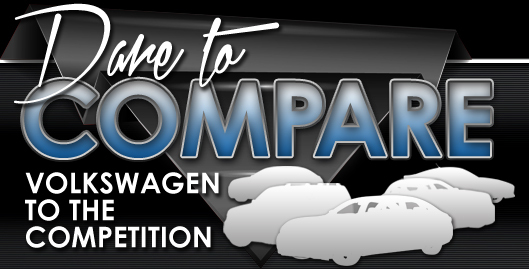 You'll easily see it's a spectacular value when you compare its price to competing vehicles. Check out our Quick List below for more details about what it offers! 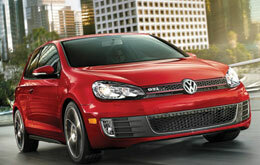 David Maus VW South is your source for 2014 GTI reviews and car comparisons. Stop worrying about your next purchase; look to the leading GTI retailer in Orlando for well-researched reviews recorded by automotive enthusiasts. Everything perspective car buyers need to make good decisions is right here, including info regarding mpg and other specs. Each paragraph is bundled with practical facts and specs - all at your fingertips. Find out more about our finely crafted selection of vehicles; visit the research archive to review and compare other models for sale now at David Maus VW South now!